-Preheat Yoder Smokers YS640 (or other grill) to to 325ºF and set up for both direct and indirect grilling. Prepare the Pineapple-Cucumber Salsa. Rub bottom side of fillet with oil, to prevent sticking, and place on soaked grilling plank. Apply a moderate layer of Plowboys Fin & Feather Rub to the topside of the fillet. 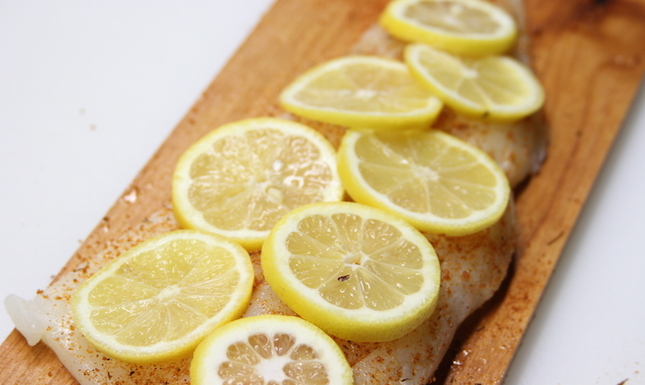 Slice Lemon, and lay slices across the fillet. Place the plank over the direct heat. Cook until plank is dried out and smoking. Move the plank to the indirect heat side of the pit. 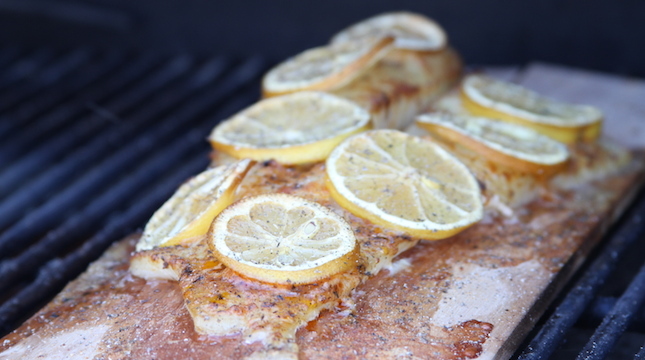 When the thickest part of the fish reaches 140ºF, remove the lemon slices and brush the fish with generous layer of the Drop Dead Delicious Peach Apricot Glaze. Continue cooking until fish reaches an internal temperature of 145º (check the temperature using an instant read thermometer like the Maverick PT-100). Serve fish topped with the Pineapple-Cucumber Salsa. -Combine all ingredients in a bowl. Toss to incorporate. Cover and refrigerate until ready to serve. The salsa should sit at least an hour, for best flavor.